You are at:Start Reading»Pregnancy»Health & Safety»What Are The Chances Of Pregnancy After Tubal Ligation? What Are The Chances Of Pregnancy After Tubal Ligation? The pregnancy phase is, no doubt, a turning phase in a woman’s life. Yet there happens a time when the couples decide not to have further babies and they need to prevent pregnancy or a situation where one needs to adopt some sort of birth control measure. The tubal ligation process is an ideal way for the prevention of pregnancy and is also referred to as the permanent method of birth control. It is also known as “tying the tubes”, in which the fallopian tubes are cut and tied for preventing the eggs to enter the uterus. The latest techniques of the present times, however, have the capability to reverse the procedure, though pregnancy possibilities after tubal ligation cannot be ascertained. It is important to understand this procedure, how it works, under what circumstances does it fail, the probability of pregnancy after tubal ligation, the tubal ligation reversal methods to be able to plan in future if required. It is better to have a complete information to be able to succeed. Let us study these in brief. Tubal ligation is a birth control process chosen by one in six married couples. Tubal ligation also referred to as “tying the fallopian tubes together” and it is an option by those women who do not want to have children further. This process is done by cutting and tying or blocking the fallopian tubes. known as “getting your tubes tied,” is an option for women who no longer want to have children. Basically, when the egg is released from the ovary it is prevented so that it does not move further to the uterus where it gets fertilized. It is ideally the most effective form of preventing pregnancy yet not a definite one. A research shows that one in 300 women do conceive even after tubal ligation. The process of tubal ligation can boost the threats of an ectopic pregnancy. This is the situation where a fertilized egg transplants in the fallopian tubes in place of the uterus. We now know what a tubal ligation is, but it is also significant to know the reasons for its failure and these are listed as under. How Can A Tubal Ligation Procedure Fail? Inadequate fastening off fallopian tubes during the process. Procedural glitches during the surgery. Improper identification of fallopian tubes and tying another body part instead. the restoration of fallopian tubes when they are unsuitably closed. pregnancy remains unnoticed before the process. Application of the wrong device for the blocking process. Is It Possible to Get Pregnant After A Tubal Ligation? Tubal ligation is one of the ideal ways for prevention of pregnancy. The pregnancy rate is 1 in 1000 after the first- year ends, and about 2-10 in 1000 after the end of about five years. The chances to get pregnant after the tubal ligation process are not too high, yet a slight chance is still there. But chances of ectopic pregnancy are much higher in case one gets pregnant. If one has had tubal ligation surgery in the past and experiencing pregnancy symptoms, one needs to consult a medical practitioner. Tubal ligation is safe but even has some risks attached to it just like all surgeries, the surgeon will provide a consent form clarifying all the threats that are related to tubal ligation. Bleeding that could be due to wound inside the abdominal area. Any sort of damage to other organs. Inflammatory diseases in the pelvic region. Nausea feeling after looking at or thinking about certain foods. Can I Have Another Child After Undergoing Tubal Ligation? As stated before, the tubal ligation is referred to as a permanent means of birth control. 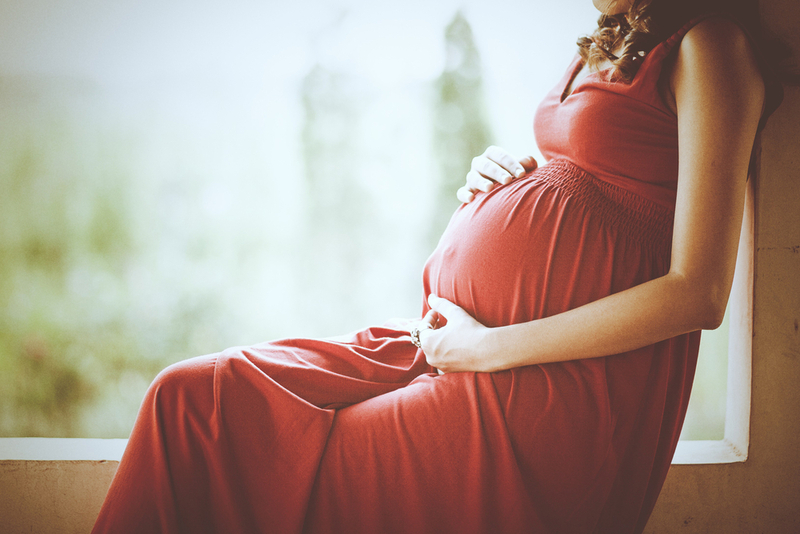 Though the tubal reversal surgery can even be done to connect the tubes back, the success rate for the same ranges between 25-85%. It is even significant to note that the process of tubal ligation reversal boosts the occurrence of ectopic pregnancy. This process where the fertility of the woman is restored once she has taken the tubal ligation is referred to as tubal ligation reversal. Under this process, the sealed fallopian tubes portion is re-joined back to the fallopian tubes. This process helps the egg to move towards the fallopian tubes and even join with the sperms that travel there as well. The situation under which the fallopian tubes have had the least damage are the ones which have a greater success rate. A popular option in the present times for all the women who are trying to get pregnant after a tubal ligation is known as In Vitro Fertilization or IVF. In this procedure, the egg is fertilized in the lab and then moved to a woman’s uterus. It is one of the most ideal and successful methods which permits one to get pregnant by fully detouring the fallopian tubes passage.It makes it possible to conceive even after tubal ligation and it is a safe choice and preferred by many with the progress of medical assistance. IVF was originally started for helping women who had tubal problems especially blockages, etc. It is a procedure in which the egg gets fertilized in the laboratory and is then transmitted to a woman’s uterus. What Are The Chances And Risks Associated With Getting Pregnant After Tubal Ligation? With a tubal ligation reversal, you can expect a 60% chance of natural conceiving. In the in-vitro fertilization, the usual success rate falls between 10-25%. The main risk associated with a tubal ligation reversal procedure is an increased risk of ectopic pregnancy. The in-vitro fertilization procedure, on the other hand, tends to increase your risk of contracting ovarian cancer considerably. This is owing to the fact that during this procedure, hormones are pumped in to encourage the release of several eggs in one cycle. Thus, tubal ligation is an efficient process to prevent pregnancy, though not cent percent proof of protection but has its own threats as well. As it is not full-proof procedure against the diseases that get sexually transmitted, it is highly advisable to use a condom. It is recommended to consult with a medical practitioner if one is not sure regarding the tubal ligation and its efficacy.